Every year the UA (United Association) holds a massive training event for its members from all over the country and around the world. During the event, there are skills competitions in which the top 32 apprentices from North America compete for each of the trades (union plumbers, pipefitters, sprinklerfitters, welders & HVACR techs) and UA teachers take classes all week to further their continuing education. 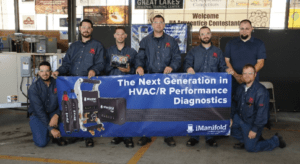 The iManifold Team participated in both the continuing education classes and the HVACR skills competition. To showcase our advances in HVACR tool technology, we made presentations during the instructor classes using our iConnect kit and the new TU-805 training unit. We also donated (5) iManifold Kits to the UA to be used during the skills competition and (1) iConnect Kit for the overall winner. iManifold recognizes the value of workforce training and continuing education and applauds the UA and their efforts to train for the future. 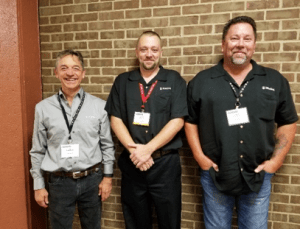 The dedication to high quality training of HVACR techs that we observed was brilliant, and we are fortunate to have been invited to participate in such an event! About North Park Innovations Group, Inc.
North Park Innovations Group, Inc. introduced the iManifold, a revolutionary, award-winning digital manifold. The iManifold platform allows HVAC contractors to more accurately and quickly read data and diagnose system issues, while providing suggestions on how to fix problems. The iManifold also comes with a free app that includes basic reporting. Additional reporting and other features are offered with the purchase of a monthly or yearly iManifold Cloud subscription for easy sharing, better connectivity, and custom reporting options for greater accuracy.